What is theme of this poem? What would be a good title for the story? Correctly capitalize the words below. What is the ratio of a fourth? This is the fourth layer of the epidermis. What type of equal parts does the picture show? What three relationships between musical notes did the Greeks find pleasing? 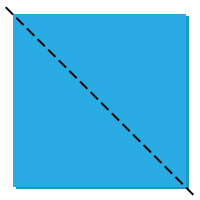 The square is divided into fourths. Mars is the planet from the Sun. What is the fourth multiple of 5? What is the fourth of Koch's Postulates?